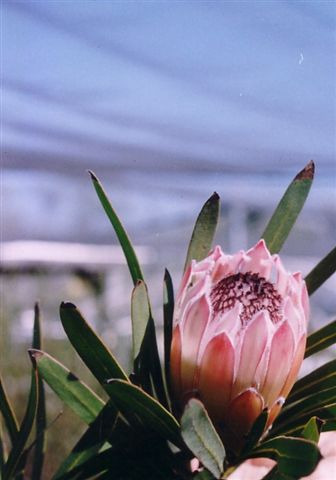 Protea longifolia 'Satin Pink' is a small, multi-pastel shaded flower with soft pink-red and cream flowers. Sometimes available. Excellent landscape shrub and cut flower.